The Coliseum is our indoor recreation facility. 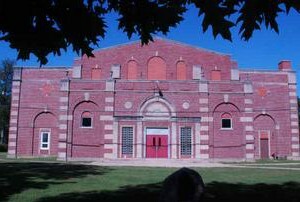 The gymnasium is the site of basketball, volleyball and other indoor sports in the evenings and on weekends during the winter months. Many other community events are held at the facility. including public meetings, flea markets, sport camps, and festival events. The Coliseum is located on the beautiful Campus Town Square. The historic campus buildings date back to 1839 when the Rock River Seminary was founded.